I first heard the Damnwells on the soundtrack of Ryan Reynolds’ quirky 2007 comedy – Chaos Theory. Sounding like the Devlins, one of my all-time favorites; I was immediately hooked. And the similarity didn’t end there. Just as mainstream popularity continues to elude the Devlins even today, this Brooklyn, NY based band has also had to face a similar hard luck. In 2006, after 2 years of hectic preparations of their terrific second album – Air Stereo, EPIC records abandoned them midway. 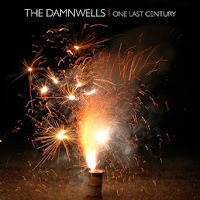 Not to give up, the Damnwells went ahead to eventually release it on Zoe/Rounder Records. This was laudably chronicled in their autobiographical documentary – ‘Golden Days’, that won several awards and was also featured as an official selections at more than 15 film festivals across America in 2007. Their new studio album “One Last Century” is now being given away FREE by the band in an obvious dig at the record industry mafia. If you like the Devlins or the likes of Wilco, The Replacements, The Band, Tom Petty or even Bob Dylan fused with melodious indie alternative rock; the Damnwells make the right choice. You can download the new album in MP3 format free of cost directly from the band’s website or you could simply CLICK HERE to go directly. The album maybe free of charge, but it’s worth a million bucks. Applaud this band, tweet it now.